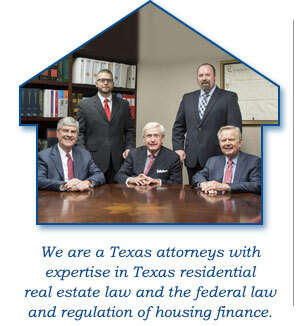 Brown, Fowler & Alsup is a Texas Professional Corporation founded in 1995 to represent the legal interests of mortgage lenders and brokers exclusively, and our practice is limited to the field of mortgage banking and residential real estate law. Our founders, Sam J. 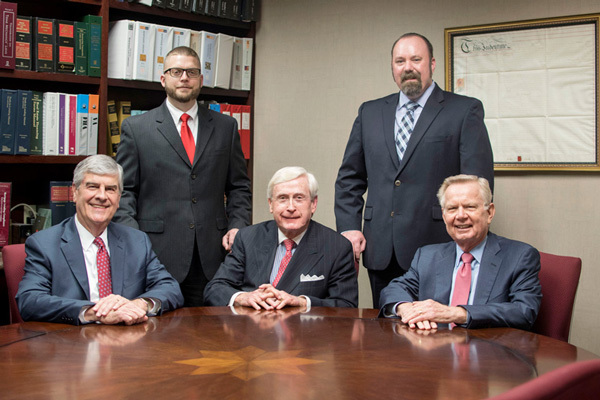 Brown, Robert K. Fowler and J. Alton Alsup, together with shareholder Aaron Polasek, are each established and recognized practitioners in the field with an average of over twenty-five years' experience in mortgage banking and real estate law. Our firm was born out of our considerable experience as mortgage lending lawyers and a shared philosophical interest in creating a unique firm environment – one organized to meet the particular needs of our clients and dedicated to providing excellence in legal services. Today our firm represents the legal interests of financial institutions, mortgage bankers, and mortgage brokers by preparing and reviewing legal documentation for their Texas real estate and home mortgage transactions and counseling them on related regulatory compliance, title, and closing issues. We analyze our clients' particular needs in each case and organize and equip our staff to best serve them. Although we employ paralegal and clerical staff in the performance of document preparation services. The attorneys of our firm personally perform required legal services, supervise the completion and review of each file and all documentation and other work product, and maintain direct client communications each working day. While the documentation preparation and review process may differ among our clients depending on their particular needs and their own staff and systems capabilities, the basic service performed by our firm is the timely and accurate preparation of legally sufficient mortgage loan documents in accordance with lender instructions and agreed performance standards and the delivery of the originals of the documents to specified title or other settlement agents to accommodate scheduled mortgage loan closings. Loan document sets typically consist of legal documents evidencing and securing the loan, including a promissory note, a deed of trust and applicable riders, as well as federal and state regulatory disclosures and the lender's ancillary documents (selected from our repository of document forms or provided us for programming), including written closing instructions to the title agency or other settlement agent. Clients may transmit documents or document orders to our firm for review by secure email, by utilizing our firm's secure web portal QUICKCONNECT, or by having our personnel access the client's web-based service. We provide credentials for access to our secure web portal upon request by the client. After preparation, review, and approval of trial sets, original documents are delivered by email or secure email to our clients and/or to their designated settlement agents. Our services also include counseling our clients in the often complex regulatory, title, underwriting, and closing issues related to each loan for which we prepare documents; and we are readily available for telephone conferencing or via e-mail to counsel our clients' underwriting, closing, and quality control personnel to help resolve open issues. This often entails our calling settlement agents, counsel for the title company, or borrower's counsel on our client's behalf and can involve our preparing curative documents in title matters or special documents we deem necessary to protect the lender's interest in any case, such as a private road maintenance agreement or party wall agreement. When a full review of title and survey documents is desired by a client with respect to any loan, our firm provides counsel on (i) issues identified and arising out of the routine review of property survey plats and descriptions and title insurance commitments, and (ii) settlement-related issues that may arise in any case, such as the clearing of survey or title exceptions and the review on behalf of the lender of the sufficiency of powers of attorney, escrow agreements, subordination agreements, and similar documents prepared by other parties. Our regulatory compliance services, beyond the counseling of our clients on these loan-specific issues, include the monitoring of developments in federal and state law and regulations affecting the mortgage lending industry to assure that any revisions of loan documents or creation of new forms called for by regulatory changes are accomplished accurately and timely and programmed on our computer system to be placed in service prior to their mandatory compliance dates, and that our clients are appropriately informed and counseled with respect to all such developments. For resumes of our attorneys, please click on the tabs above.